You are here: Home / food / Longhorn Steakhouse Knows How To Spark a Fire With Their Customers!! Longhorn Steakhouse Knows How To Spark a Fire With Their Customers!! Who likes delicious FREE food??? If you do, then you won’t want to miss this opportunity to get a FREE appetizer at a LongHorn Steakhouse restaurant near you! To get your Longhorn Steakhouse FREE appetizer, simply purchase one adult-sized entree. 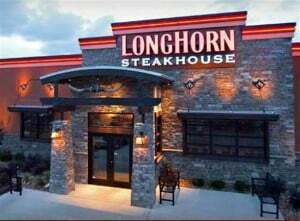 All you have to do is sign up for the LongHorn Steakhouse email newsletter. In addition to this awesome freebie offer, you will also receive helpful grilling tips, special deals and discount offers, and so much more! With this freebie you can choose from a variety of delicious appetizers available on the LongHorn Steakhouse menu.